I recently got a call from Capt. 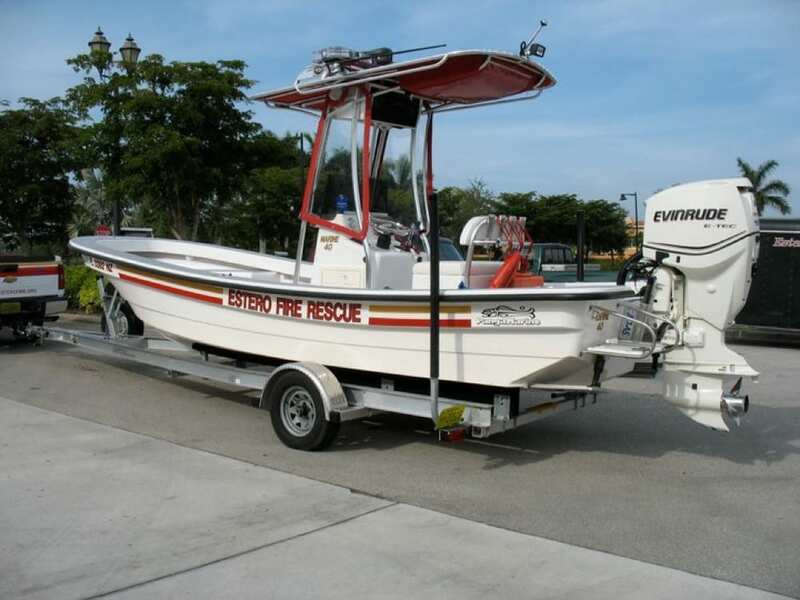 Glen Brownlee who works for Estero Fire Rescue down in Lee County; I did some work for a few friends of his and he thought it would be a great idea to add custom SeaDek to the work boat in order to make it more comfortable and safe while on the water. 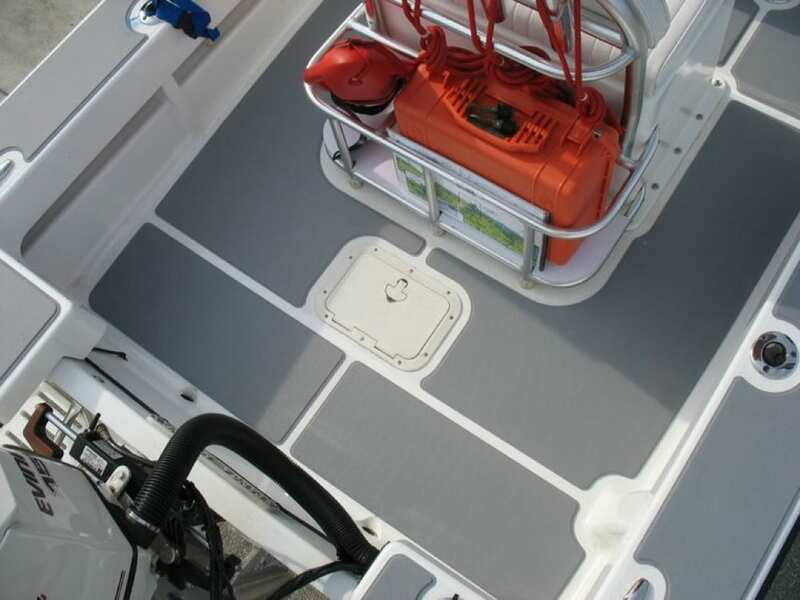 SeaDek provides an excellent traction even when wet and makes for a safe working environment. 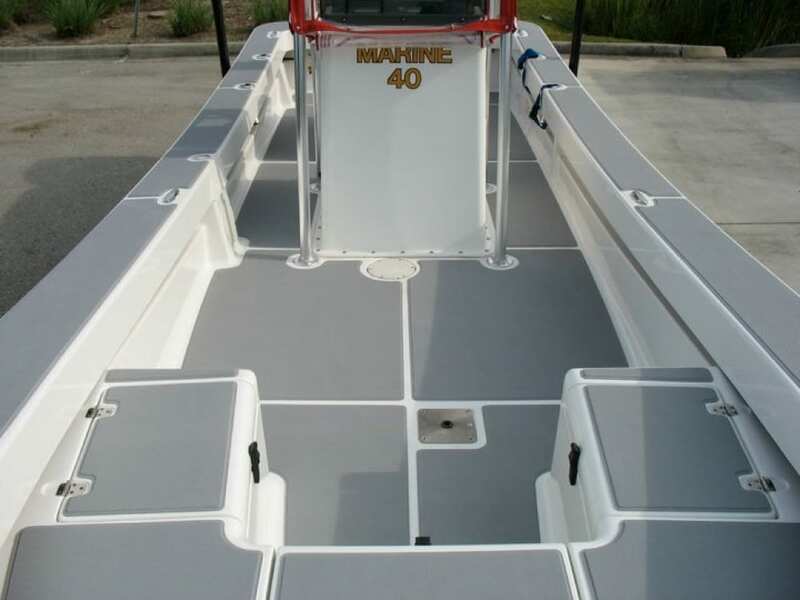 The boat is a 22′ Boca Grande built by Panga Marine in Sarasota, FL. The Panga hull design is a tried and true design and real workhorse that has proven itself throughout Central America. 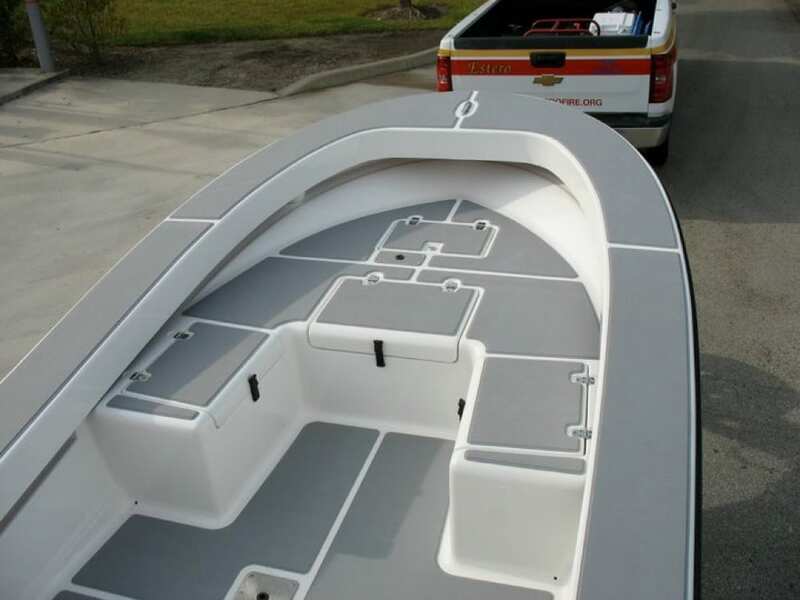 The customer decided to go with a single 5mm Storm Gray material which is a good application for the floor, front deck, and gunnel tops of the boat. We went with a 10mm helm pad to add a little extra cushion when running through some rough water. 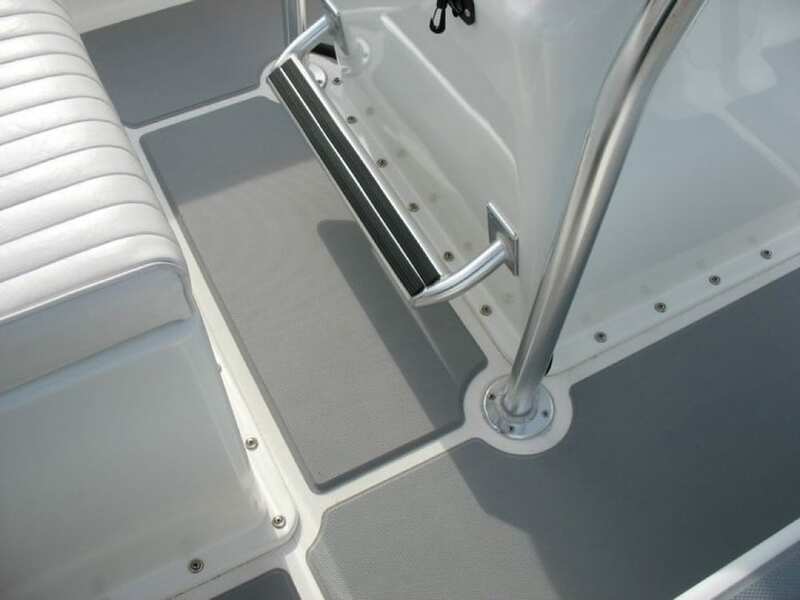 If you are interested in having custom SeaDek designed and installed in your boat you can contact me at info@castawaycustoms.com.